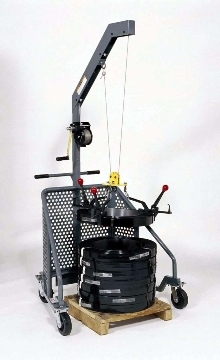 Coil Lifter eliminates manual lifting of strap coils. 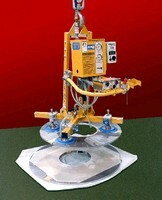 Vacuum Coil Lifter has soft skin foam gripping surface. 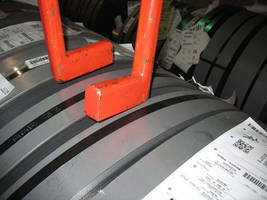 Coil Lifters improve safety and reduce coil damage. 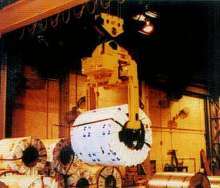 Strong-BacÃ‚® motorized coil grabs feature enclosed drive system that is protected yet easily accessible for inspection or maintenance. 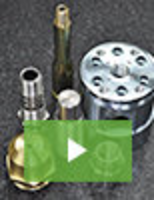 Standard safety features provide precise control of lifter and protect coil from damage. Options include ID sensors, urethane padding, and custom designed sizes. 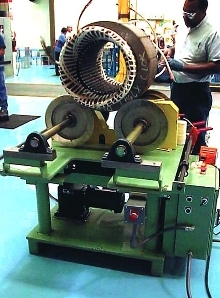 Lift Table picks up coils.